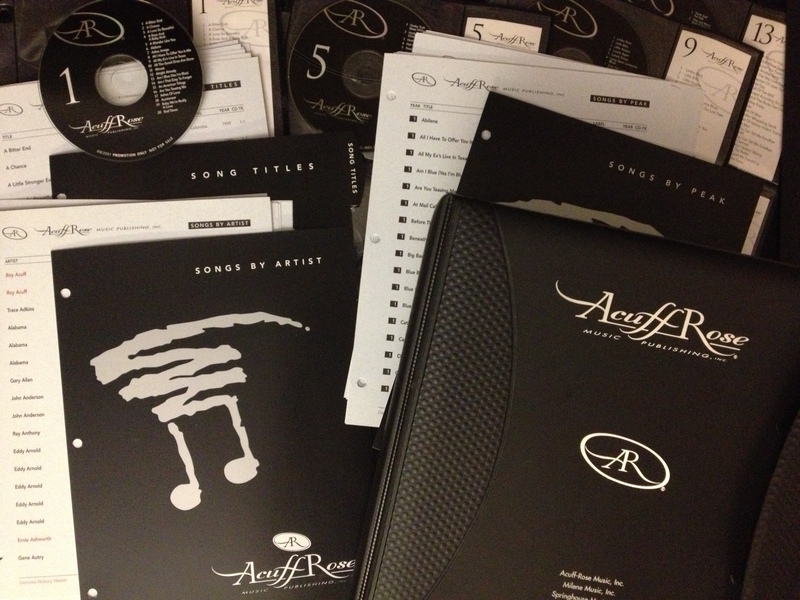 This Acuff-Rose Music Publishing Sampler included a catalog of over 400 of their most successful songs and 300 recordings on 16 CDs. Go Design’s job was to design a tasteful, cohesive branding package with organized, easy-to-read information. The catalog was divided and arranged in four listings: alpha by Title also Artist, Year released, and Peak chart position. A limited edition print run was targeted to industry music buyers for commercial and licensing rights.